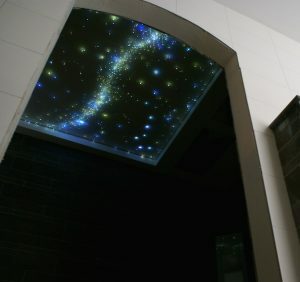 All ceilings are unique and exclusive in the world. 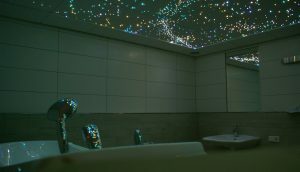 The materials used are different wood types, acoustic fiberglass / glass wool panels, aluminum, stone and plexiglas/acrylic. 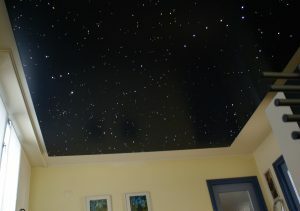 In terms of design, colors and dimensions will meet your wishes and requirements. 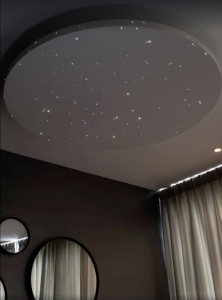 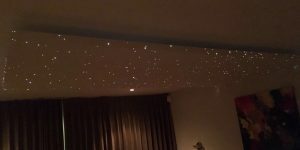 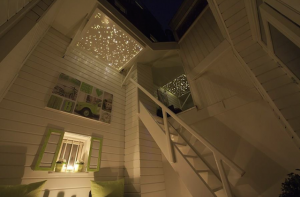 We ship the complete and easy to install Star Ceilings everywhere in the world and when needed an installation on site by MyCosmos. 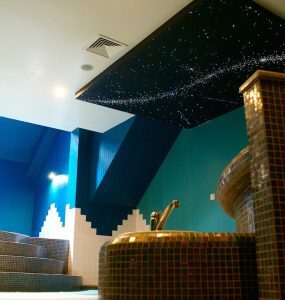 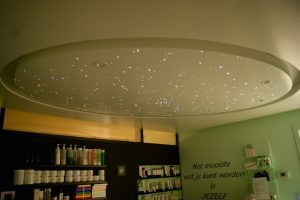 The price of the star ceilings depends on the options: Surface : determine the Number of stars, type of material, type of finish, options such as: indirect LED lighting, shooting stars (meteorite) and the most luxurious option in the world: a true galaxy of hundreds or thousands stars that make up a real milky way.